Whale sharks are the biggest fish in the ocean, and the largest recorded one was over 41 feet long and over 47,000 lbs. However, whale sharks do not pose a threat to humans since they are filter feeding fish, which means that they primarily eat plankton. 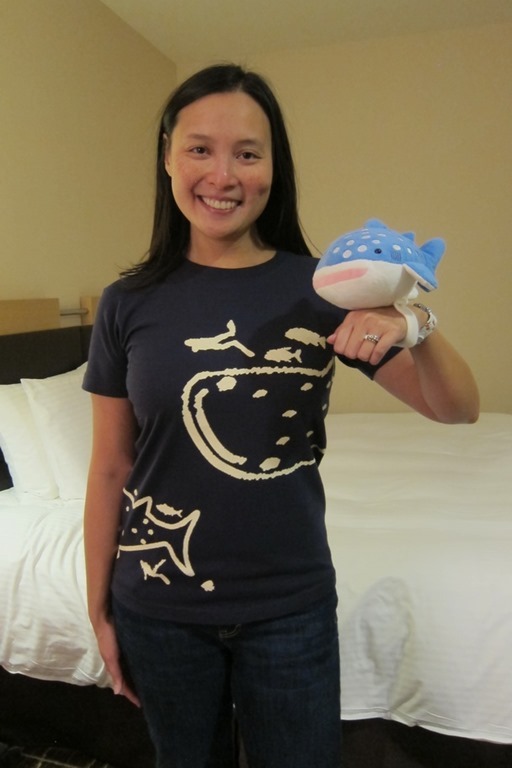 I’ve recently become a little obsessed with whale sharks. The reason that I’ve become quite fascinated with them is that the scientists in the world know very little about them. 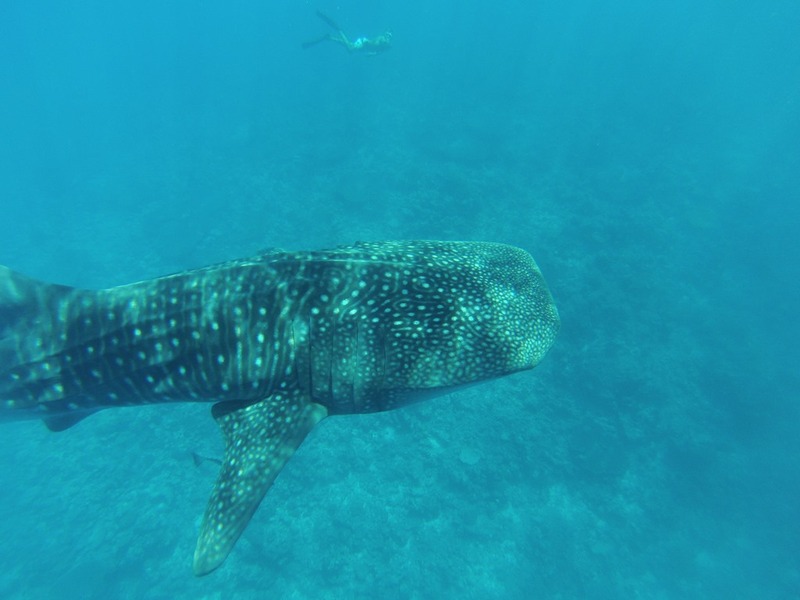 All knowledge about whale shark reproduction is based on one female whale shark that was captured in 1996. National Geographic even has a million dollar reward for anyone that can take a photograph of a whale shark giving birth. So when I learned that the Maldives was one of the few places in the world that you could spot whale sharks year-round, I was pretty stoked. 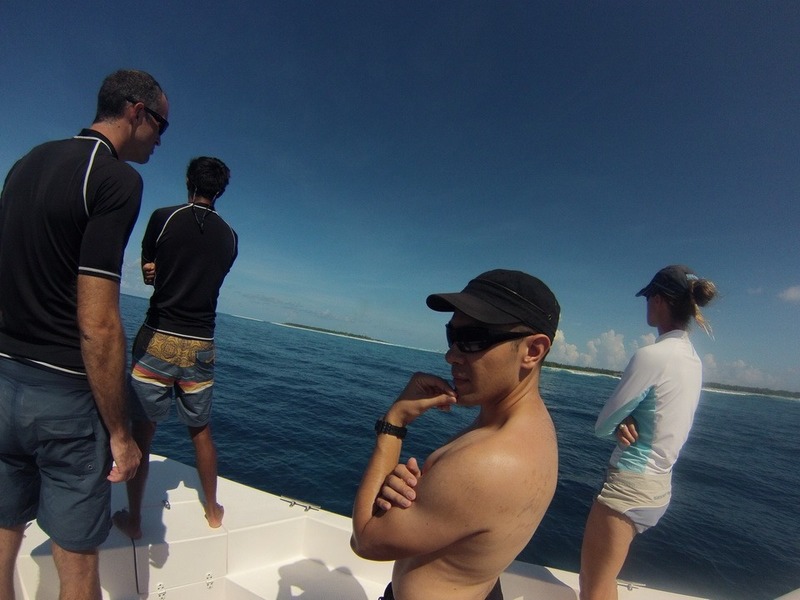 In fact, the Conrad Rangali supports the Maldives Whale Shark Research Programme (MWSRP), which is a nonprofit based in the Maldives that focuses on whale shark research and conservation. 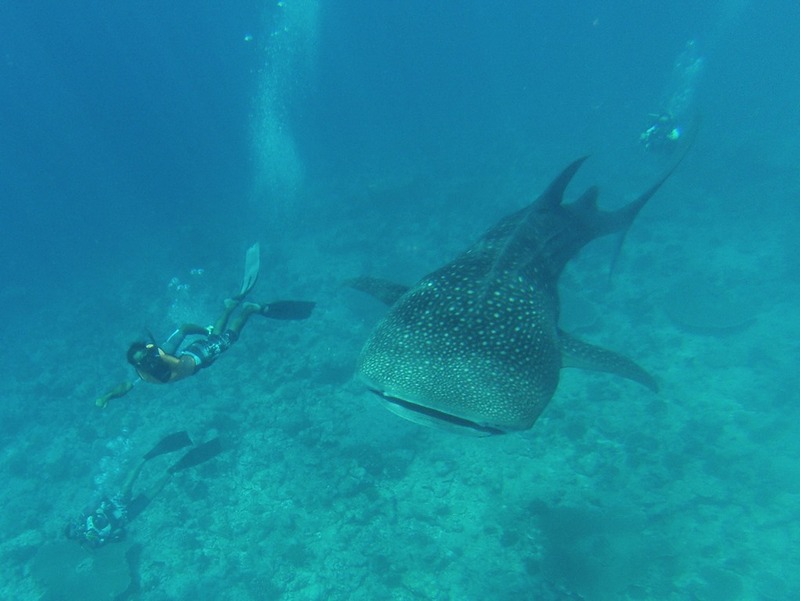 You can schedule your whale shark snorkeling trip with the Conrad Rangali but it costs a pretty penny at $200 USD per person. The bright side is that $50 USD of that amount is donated to MWSRP directly. 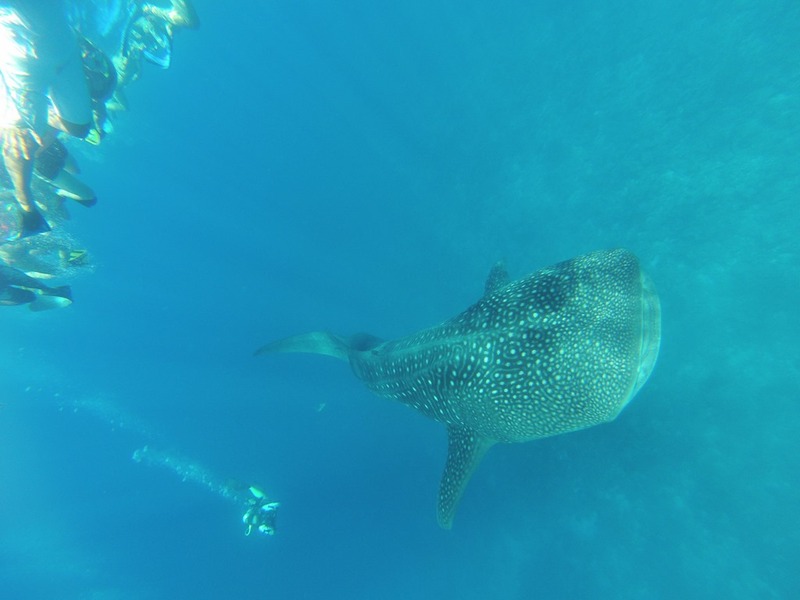 Plus, MWSRP runs the snorkeling trip, and you can ask the authority on whale sharks tons of silly questions (like I did). 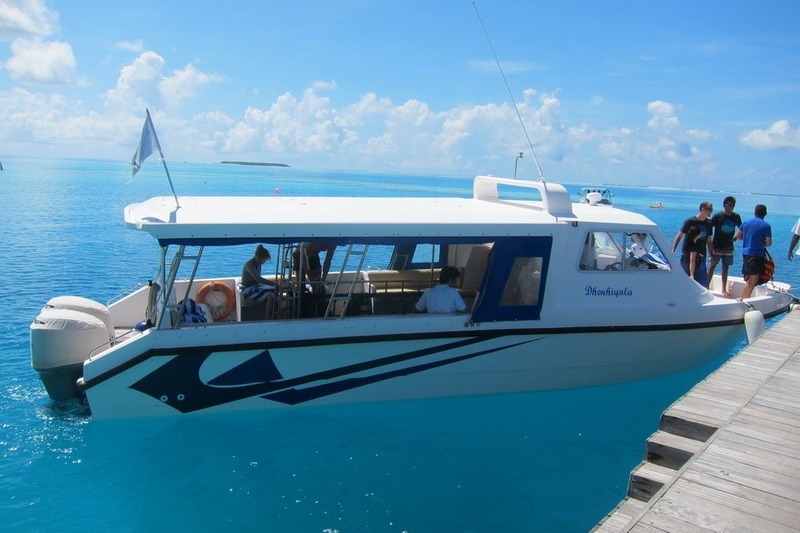 The snorkeling trip is on a private boat. Our boat had only nine people (including me and Mr. Selfish). 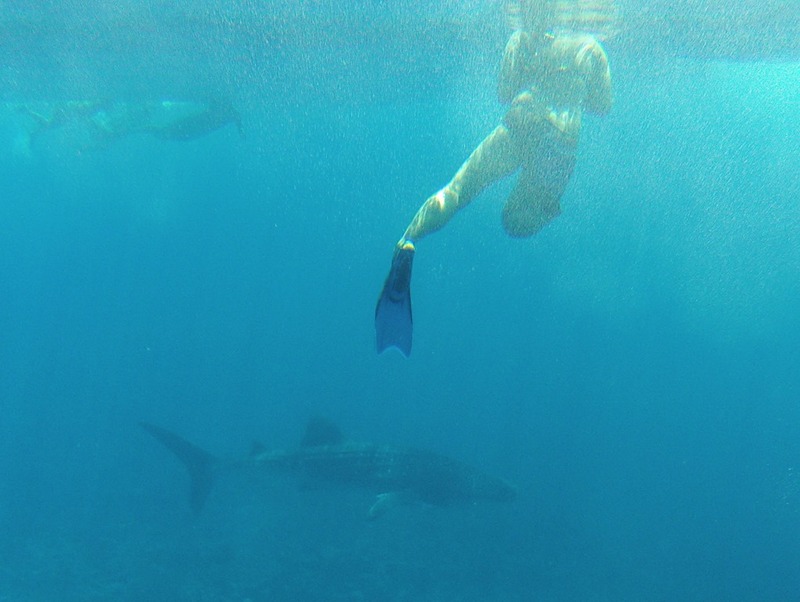 Of course, a whale shark sighting is not guaranteed. 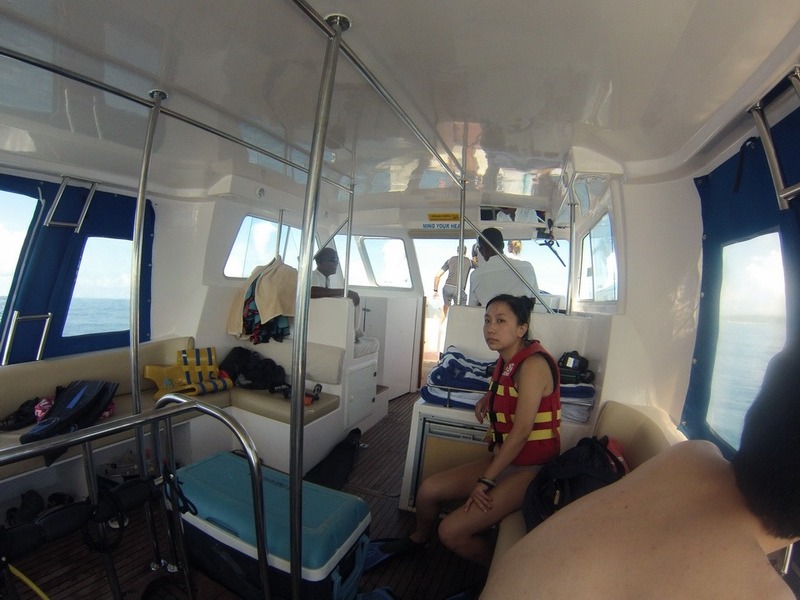 We spent at least an hour and a half on the boat just trying to spot a whale shark. 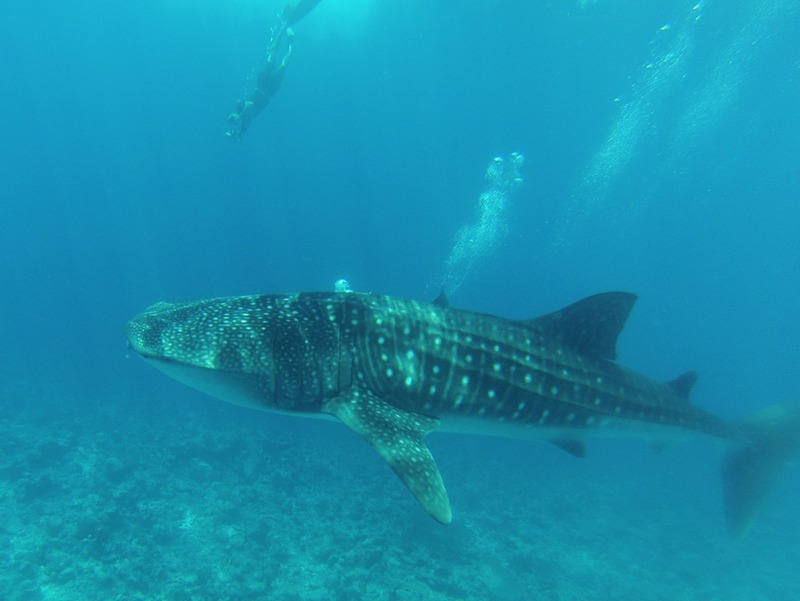 Just as we were starting to lose hope, we spotted a whale shark named Lucky, who is an adolescent male that is about 20 feet long. I was one of the first ones to jump in the water (as you can see below). 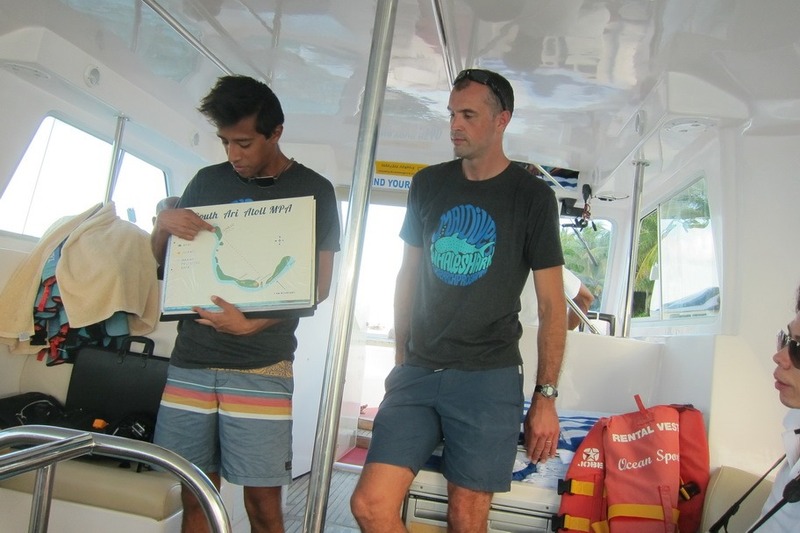 Unfortunately, at least two other tour boats also saw Lucky, and the water was soon swarming with snorkelers. Since Mr. Selfish is an excellent swimmer and I’m just plain aggressive, we mostly pushed our way to the front of the pack. Lucky wasn’t in a hurry to leave. He swam slowly around, and we were with him for about 20 minutes. It was so amazing being so close to him. Mr. Selfish and I were quite lucky to swim with Lucky for so long. I will never forget that magical moment. 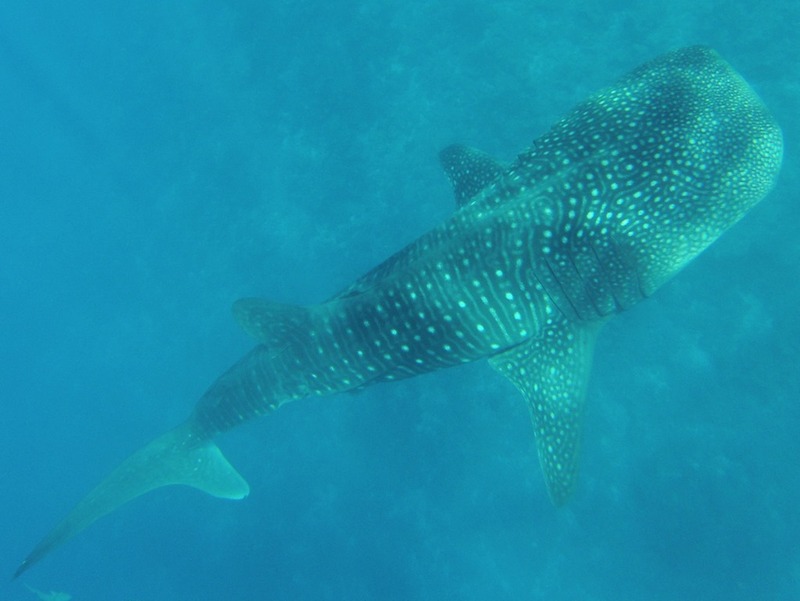 I highly recommend going on the whale shark snorkeling excursion with the Maldives Whale Shark Research Programme if you stay at the Conrad Rangali. It was, by far, the best activity I’ve ever done through a hotel.